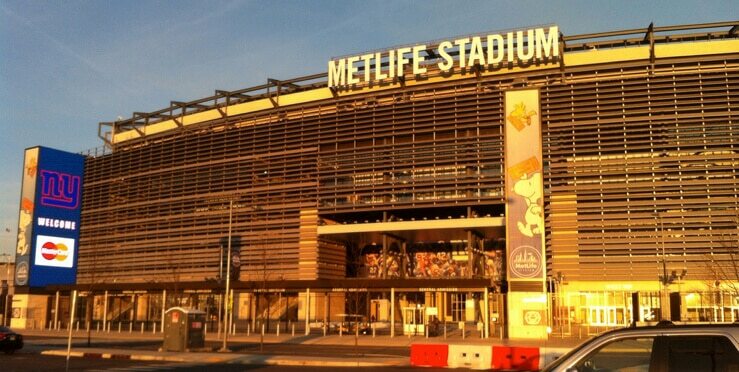 A preliminary truce has been reached concerning parking at the Meadowlands Sports Complex, which, in addition to being home to the Giants and Jets at MetLife Stadium, as of June also has a legal sportsbook at the Meadowlands Racetrack. The Giants and Jets rule the complex on their game days — which works out to almost every Sunday from September through December. So what would be the biggest betting days of the year for the FanDuel Sportsbook at the racetrack — just as they will be at Monmouth Park and eventually Freehold Raceway — get complicated in terms of bettors finding parking. Any sportsbook customer was permitted to park at the track before 2 p.m., but after that, you could only do so if you had a Giants parking pass. This means that Giants fans had an option of stopping off at the track, betting on the game, and then heading over to MetLife Stadium. Giants fans also could choose to drive straight to the stadium, then get a shuttle bus from Lot G to the sportsbook and back. Those who arrived by train from Secaucus Junction — and for a regular-season game, this might be 10,000 out of 80,000 fans — also could avail themselves of that shuttle to the track. While the sportsbook is open until 1 a.m. or later each day, that doesn’t mean you will be able to park at the stadium, head over to the sportsbook, and stay there late. There remains a threat of being towed if someone’s car is still in the stadium lot more than two hours after the game ends (so roughly midnight). Some of this complication stems from the fact that the track no longer utilizes the massive grandstand that opened alongside Giants Stadium in 1976. 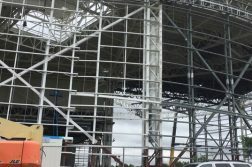 A new, much smaller grandstand opened five years ago at the site of the former backstretch of the 1-mile oval track, making it impractical to, well, hoof it from the stadium to the grandstand. Meanwhile, why did we call this a “preliminary” truce in the opening line of the article? Because this is just a midweek night game during the preseason. Sunday afternoons are a whole different story. No deal has yet been reached for a “workaround” for Sunday regular-season games. By next season, of course, American Dream Meadowlands — a nearly 3-million-square-foot retail and entertainment complex — will be open on the other side of Route 120 (a mere 16 years after it was approved by state officials). The teams settled their lawsuit against operator Triple Five, meaning that complex will be allowed to be open on football Sundays. The premise is that while you won’t be able to shop on Sundays (Bergen is the only county in the state with “blue laws” that prohibit such a thing), you’ll be able to play at the indoor water and amusement park complex, snowboard down the indoor ski hill, go ice skating, ride on the London Eye-style observation wheel, etc. How many people will want to drive to American Dream on football game days? That was the subject of a famously contentious hearing in 2012 between Giants co-owner John Mara and New Jersey Sports and Exposition Authority executive Ralph Marra Jr. (which I refer to as the “Mara vs. Marra kerfuffle”). Let’s just estimate that it will be somewhere in between the negligible amount assumed by the project developer and the epic figure that the teams insisted would produce eternal gridlock. For many bettors out there, this “problem” ceased to exist on Monday, when DraftKings opened its online sportsbook. 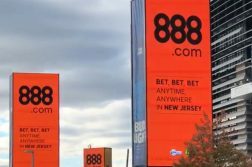 Any adult who has an account there and is in the state of New Jersey can place any bet he or she wants. 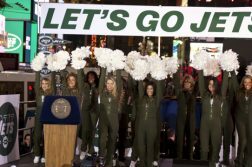 That’s even true of the thousands of Long Island-based Jets fans whose families have maintained their season tickets even though the Jets left the state more than three decades ago. It’s understandable that some bettors would want to watch the game in a lively atmosphere rather than in their own bedroom. But for Giants and Jets fans, there already is one — and soon there will be many — online sportsbook that can make this in-person betting situation go away.